Ever since I first read about the possibility of the Motorola Sholes coming to the Verizon network, I have been bouncing with joy. More than a year ago I was anxiously engaged in trying to determine if and when Verizon might bring us an Android phone. 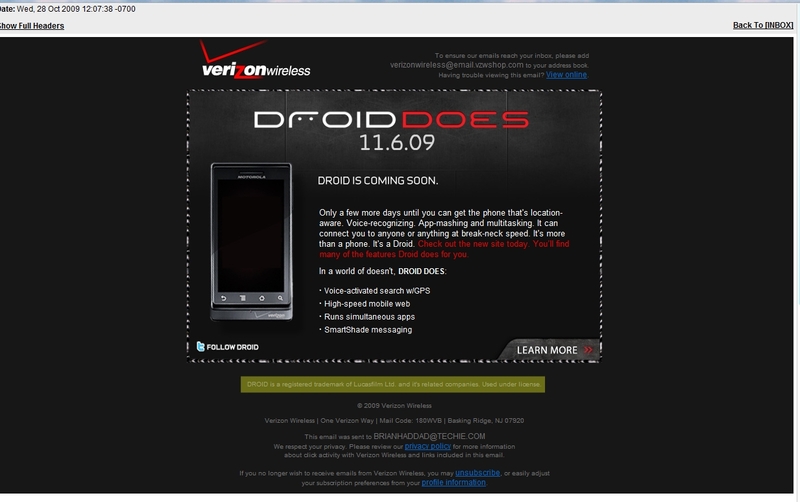 Well, the Motorola Droid (the new name replacing the previous code-name of Sholes) has been officially announced and will be coming very soon to Verizon customers (on the 6th of November). Yes, in the yellow highlighted portion we learn that Verizon or someone had to pay Lucasfilm Ltd. to use the name Droid. I laughed a little when I read it. You should too.